In the 1930s, Markos Petridis, who had Russian origins, started the history of BRAVA in a small 80 square meters shop. This small workshop was located in Piraeus, near Agia Sofia and produced cornflower, rice flour and baby creams. 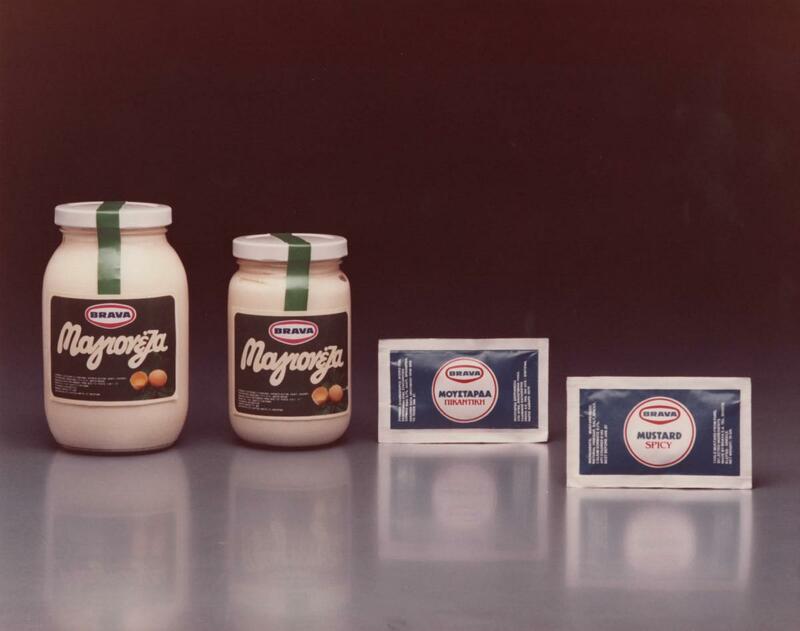 Always with an innovative spirit, Markos decided to enrich his product portfolio with mustard, in an era that Greeks little knew about this tasteful product. At the time, whoever was interested in buying this luxury good would find it as an imported product either from France (Parizot) or England (Colman’s) in few delicatessen stores. The only competitor of BRAVA at that time was the brand DELICIA, which was founded in 1925 and was the first Greek mustard. The creator of DELICIA was Kostantinos Tsiakos, former mayor of Piraeus (1943-1944). The two men had a special relationship. 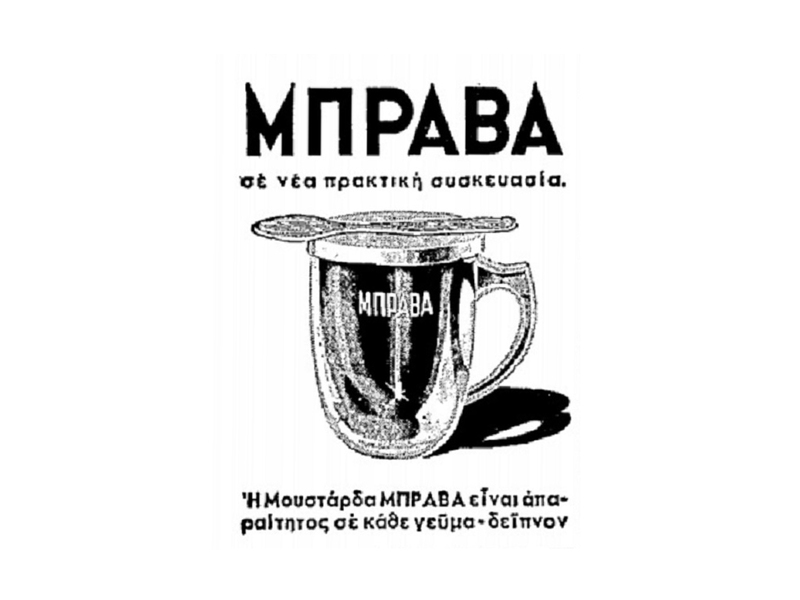 Markos Petridis worked for DELICIA mustard as a commission agent selling in small grocery stores of Athens-Piraeus. Having earned the know-how and experience, Markos decided to leave the Tsiakos Company and follow his dreams in the world of condiments. And this is just the beginning. In order to be able to practice the production of mustard, Markos Petridis decided to move to a larger workshop in Olinthou and Psaron Street, again in Piraeus. He names his product LASQUIZITA. In these years, mustard was packaged in cans. Ambitious Markos is facing a problem: he can’t afford owning a grinder who will break the mustard seed so he ends up buying already grinded seed. This was a costly solution. As far as the production of mustard paste is concerned, he uses a self-constructed stone mill. Having in mind innovation, Markos decides to pack his product in squared form glass jars which are being supplied by the Fertilizers Company of Bodosakis Group. This new glass packaging that had a metal lid and is sealed manually will enable him make better promotion of the product. People that taste the mustard made from Petridis himself tell him: “Bravo Marko! You make excellent mustard”. And just like that LASQUIZITA changes its name to BRAVA. The only thing left is a logo that will make the packaging more appealing to the consumer. Motivated and influenced by the familiar bull’s head logo of Colman’s English mustard packaging he decides to add on BRAVA, the head of a dear. 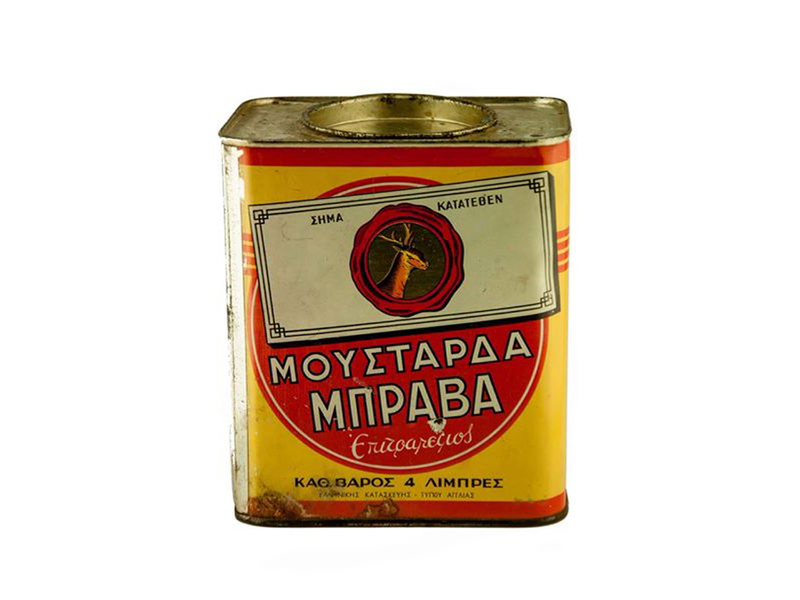 Sometime before the outbreak of WW2 Markos Petridis continued the fight to build his dream and to establish himself as the producer of the best Greek mustard. He achieves to buy his own grinding mill and thus he avoids the extra cost of grinding. 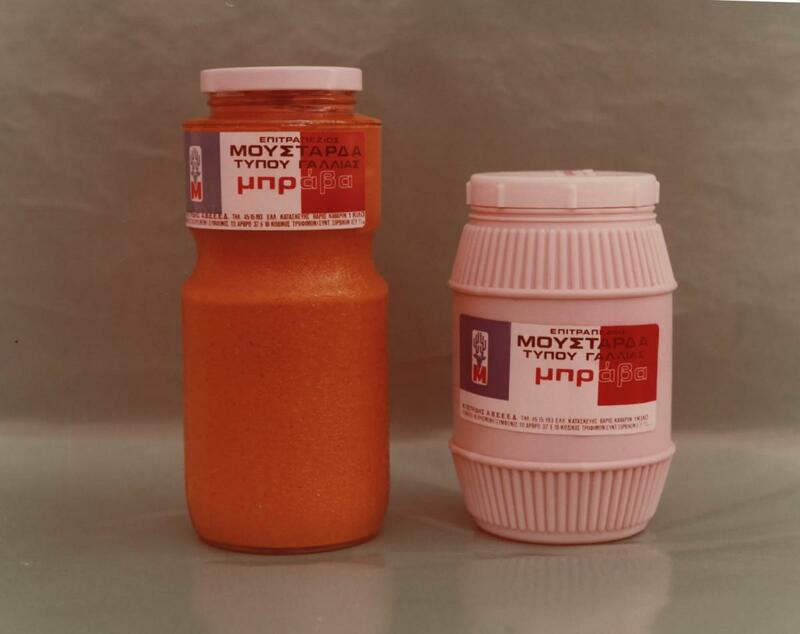 The produced mustard paste is stored in wooden barrels, the surface of which is covered in salt so that the air does not lead to the deterioration of the paste. The factory M. Petridis and Sons produces three kinds of mustards: the Mild that contains yellow mustard seed, the Hot that contains a mix of yellow and black mustard seed and the Forte that contains only black mustard seed. It’s worth mentioning that the mustard seed that was then used was of Greek origin, cultivated in the fields of Kopais and was thin and extremely aromatic. The sales of the mustard were made only in the Athens-Piraeus area. 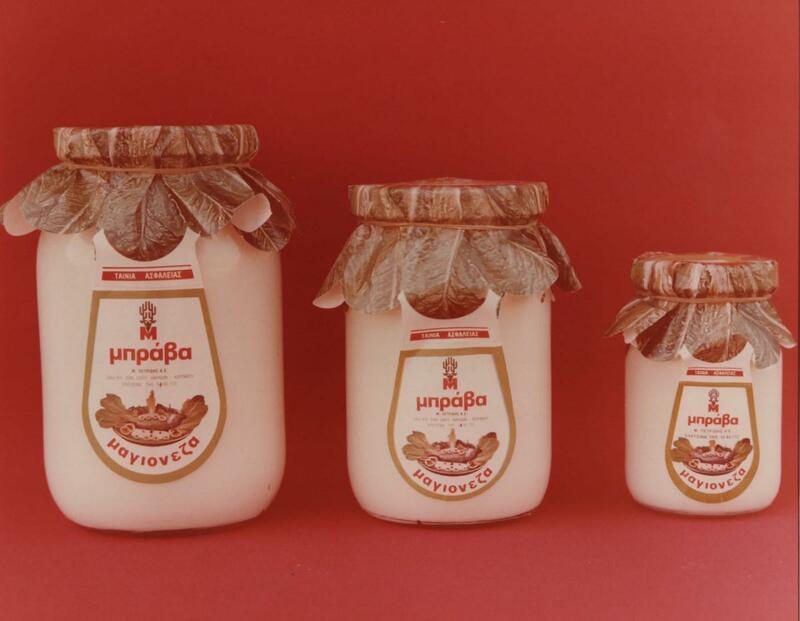 German occupation came in Greece but Markos was extremely lucky due to the fact that he continued producing mustard, selling it in a company that supplied the German army. This collaboration helped him support his family in those difficult times. War is finally over and the Greeks try to make up for lost time. 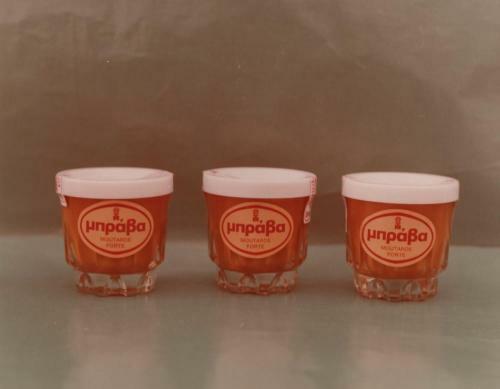 After the end of the German occupation the product range of M. Petridis and Sons Factory is enriched, thus new glass and plastic packagings are added. The production reaches 100-200kg per day and the machines-mills are now three, all of them self-constructed. Within a short time the ambitious performance objectives which have been set began to take shape rewarding Markos Petridis for his hard work. 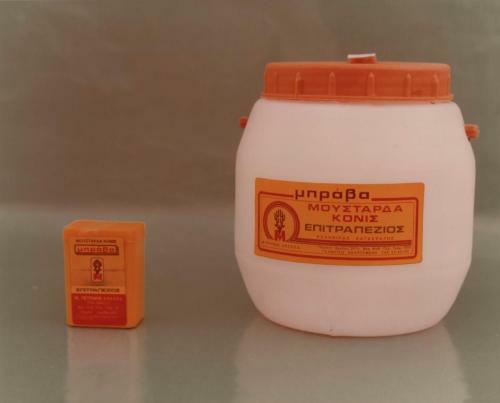 It was the time that the brand EKMA mustard appeared as the one and only competitor of BRAVA as DELICIA had already withdrawn from the market. In 1957 the oldest son of Markos Petridis dies and this is something that affects hardly the whole family. The heavy lifting of the factory’s growing activities remains on Markos and the family’s benjamin, young Michalis who is about to offer a new and modern spirit in the enterprise. 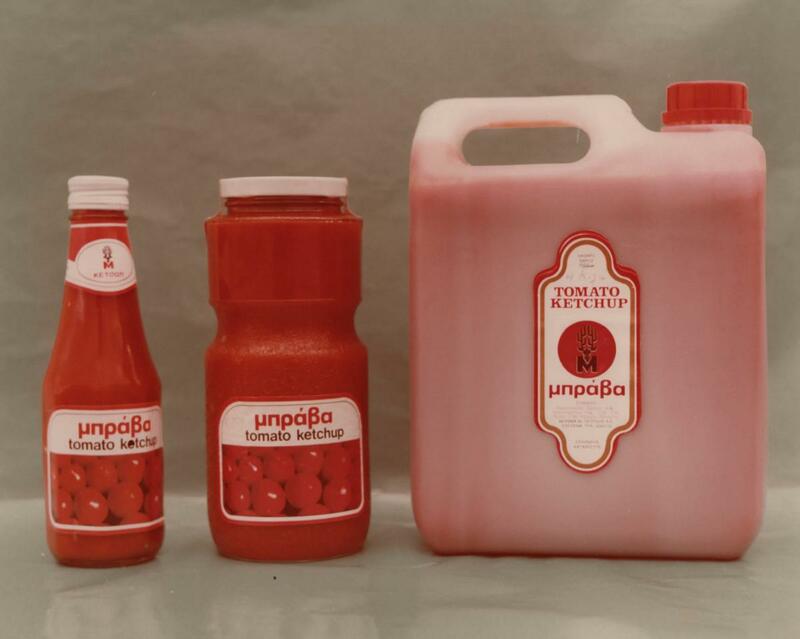 In the 60’s M. Petridis and Sons enterprise sales began to rise and the distribution expands allover Greece. The production reaches 1000-2000kg per day. This expansion motivated them to add to their products toothpicks, anchovy paste and mustard with pickles. During the growing of the factory the success factors were the effort for the continuous improvement of the products and the absolute cleanliness. Following the trend of the time, where radio and TV advertisements had appeared, Michael Petridis suggested the creation of ads for BRAVA aiming to increase the brand awareness. A print ad of the time pictures a talking cow: “Which is your final wish?” people ask her and she responds “My final wish is to be eaten with BRAVA mustard”. BRAVA also had the privilege to be advertised in the radio by the warm voice of the well-known actress Rena Dor. 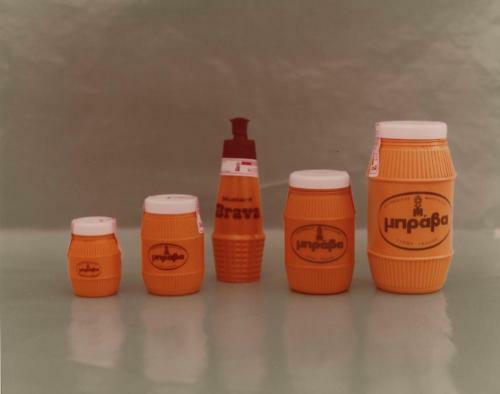 In 1968-1969 the rising of BRAVA lead to the need of creating a new factory. At last in 1972 the new 1500 square meters plant opens in the area of Elefsis. At the same time the factory of M. Petridis and Sons began to produce salads, pickles, ketchup, mayonnaise and dressings. The sales in the countryside continue successfully, by appointing representatives who contribute to the expansion of the distribution network. 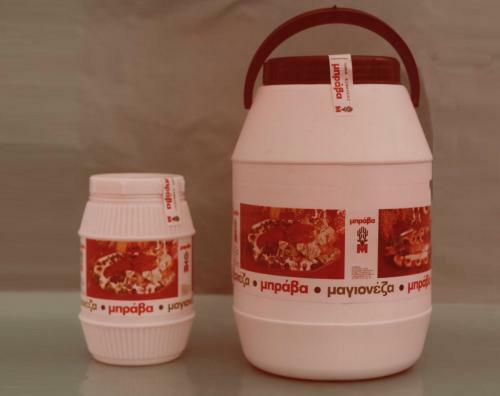 In the 80’s new competitors slowly appear and in the end of this decade due to the strong competition from international brands, the sales of the family business of Petridis start to decrease. The downturn of the sales in combination with the health problems of Michalis Petridis leaded the company to a financial crisis which resulted in bankruptcy. In 1993 Mediterranean Foods S.A. acquired the brand name BRAVA and relaunched it successfully in the market. BRAVA remains until today the first Greek mustard as it accompanies and delights every meal.